Have you had a holiday from hell? Been left with a hole in your floor by a dodgy builder? Fed up with fighting over who gets the dog after your divorce? Don't worry, criminal barrister Rob Rinder, star of the ITV hit show Judge Rinder and columnist for the Sun is here to help you take action. From common legal woes to problems you may have, this is a collection of real-life stories of things gone wrong, for which he provides sound legal advice. 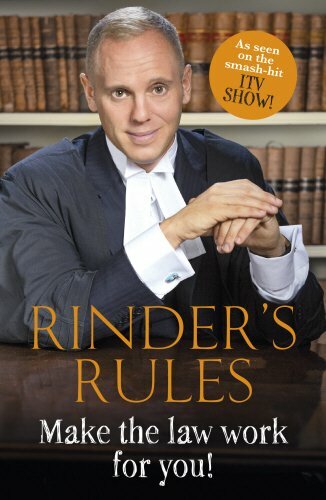 With sections on jargon-busting, consumer rights, and common mistakes, RinderÃ¢ÂÂs Rules provides a thorough guide to everyday legal issues that you can carry with you anywhere.This book is both incredibly informative and unbearably funny. About: "Too many lawyers spout jargon.